Making the right diet choices is tough. Often we get people asking us what the best dog foods are, we get asked the dry vs. canned food question, as well as portion size and how frequently dogs should be fed. The simple answer is that there is no simple rule when it comes to how much you should feed your dog—each animal is unique and diet should be tackled on a case-by-case basis. What we can tell you outright is that overfeeding your dog, feeding them too much too often or showering them with treats is bad news. Getting it wrong—the worst case scenario. Obesity in dogs is a real problem in Australia these days and an overweight dog is far more prone to things like arthritis, diabetes, hypothyroidism and even cancer. We’ve put together a handy guide, simple enough to digest so that you’ll be able to make the tough decisions about what and how much to feed your dog. 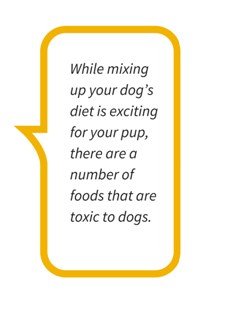 The best foods for dogs explained. If you’ve had much experience owning dogs you’ll attest to the fact that dogs, given the chance, will eat just about anything. The great dry vs. canned debate explained. Many have arguments either for or against both types of dog food and the simple answer is that one type isn’t exactly better or worse than the other.  The best thing you can do for your dog is buy a reputable brand, one that your vet advises for your specific animal, and even mix up the two on occasion. Dogs love a bit of variety—it’s a part of their curious scavenger nature. 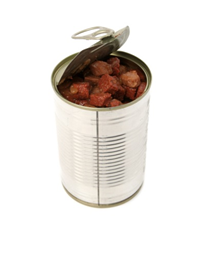 Things to know about canned food. It’s usually packed with more high-quality protein. May bring about more tartar build-up over time. Can bring about weight gain if overfed. 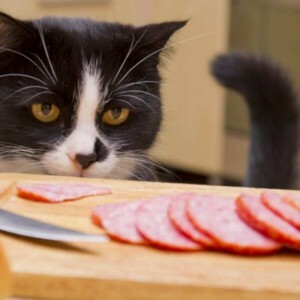 Things to know about dry food. Often just as nutritionally balanced as canned foods. Easier to store and keep for longer. A cheaper alternative to canned dog foods. Dry food is great for cleaning teeth. Can be harder on older dogs’ fragile gums.  Speak to your vet about your dog’s specific needs, however a good rule of thumb is to always buy reputable brands with high nutritional value. Also, mixing up your dog’s diet will not only be stimulating for them, it’ll strike a good balance between the benefits of both varieties. The good, the bad and the worst habits. When it comes to how you feed your dog, getting into good habits is a must. 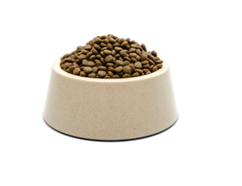 Feeding your dog a number of times throughout the day, with smaller portions and a bit of variety, is the best way to get them into healthy habits. Try to put out a portion of food in the morning before you start the day and again when you’re preparing dinner of an evening. Feeding your dog once a day with one big portion isn’t a great idea—it can also bring about nasty and quite serious conditions like stomach bloat. Your dog’s size, weight and how much food they’ll need. It’s a common idea that food portions rely solely on the size and weight of your dog. While this is often a factor, it’s not the whole story. 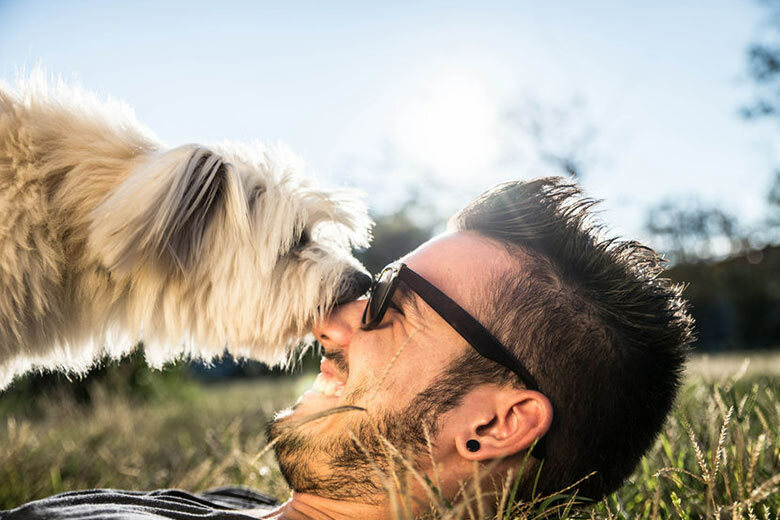 If your dog is more active, such as working dogs, show dogs or just family dogs who like to join in with the kids on their adventures, they will naturally burn more energy and need a bit more food to compensate. In this case, try to feed them more often, and introduce from time to time some interesting surprises into their diet. Fish and rice are protein powerhouses and are great for an energetic pup. Older dogs and diet change. Older dogs, on the other hand, will be slowing down and are far more susceptible to weight gain. Get into the habit of feeding them less than usual over time, closely keeping an eye on their weight. A balanced diet is very important for an older dog and, even though they may not show the same enthusiasm for exercise, this doesn’t mean that they should ever stop being active. Each dog is different, however, so for a comprehensive understanding of how to best feed your dog, ask your vet for some advice. Diet plans, toxic foods and bonus information. Feeding your dog a consistent amount twice a day is a great plan. Get yourself a measuring cup or scoop and use it whenever it’s dinner time. Macadamia nuts, grapes and a few other surprising foods are big no-no for our dogs—check out our foods to never feed your pet guide for more. If your dog is already a bit on the pudgy side, it’s never too late to help them lose weight. 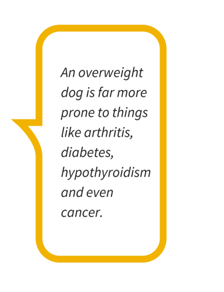 As we mentioned above, an overweight or obese dog is far more susceptible to a number of serious illnesses. To help them on their way to better health, take a look at our helpful guide for weight loss.